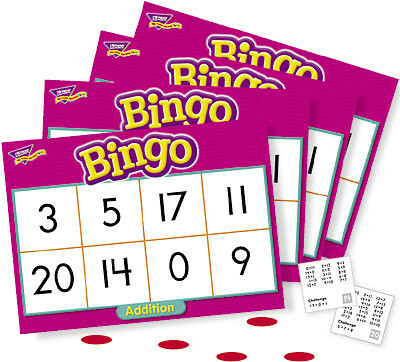 Addition Bingo Game adds sums to 20. 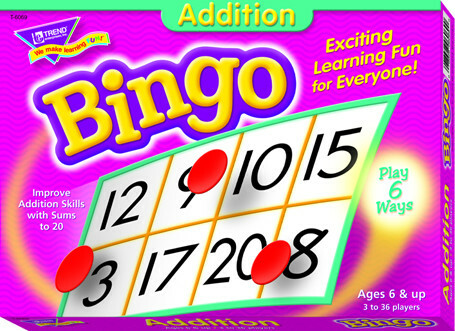 Flexible difficulty level for increasing kids' maths skills. 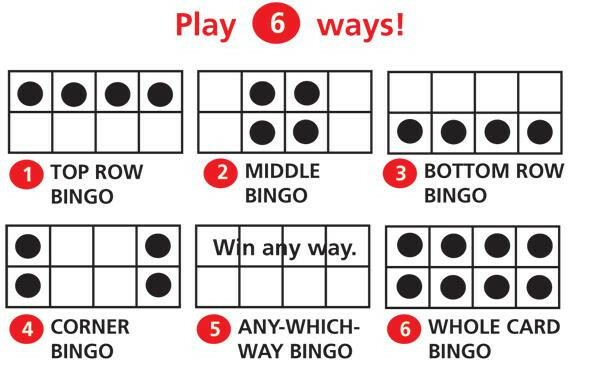 The Subtraction games' unique, six-way format adapts to a variety of skill levels, and is a fun learning supplement for small groups or the entire class. Also ideal for learners with disabilities and anyone learning English.